Jack's Ridge, Davao City | To Be, To Be. Tutubi. 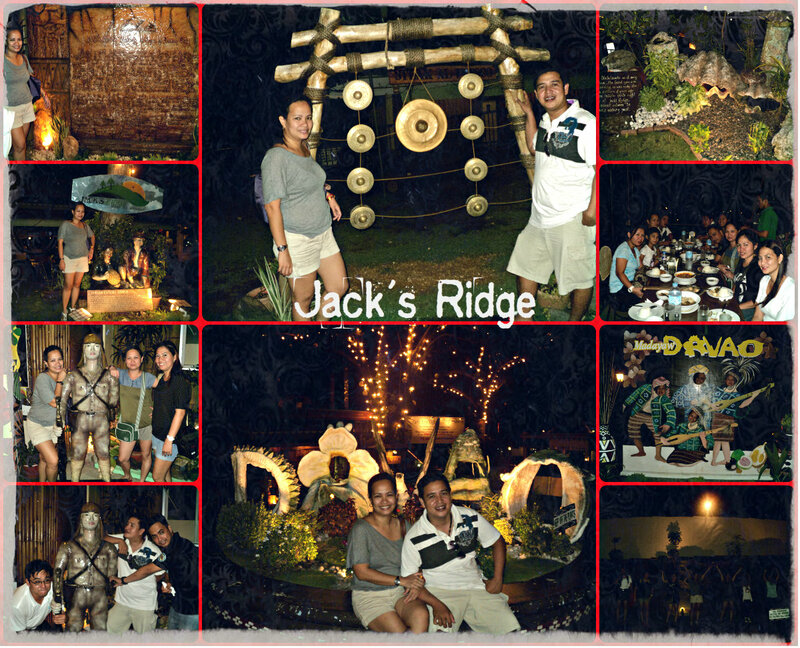 After the visit to Eden Nature Park and Philippine Eagle Center, we went to Jack's Ridge for dinner. Jack's Ridge is located at Shrine Hills in Matina. The place was wonderful! There was something for everyone! We had a lovely dinner. We ordered family style, and the food was great. Sorry we had no pictures of the food because we were so hungry, hahaha. And the price was just right also. Anyway, after the lovely dinner, we went around the place for some photo ops, and found everything satisfactory. There were some relics of the Japanese War, a kumintang, a pool (we didn't swim of course), and a playground. We were able to burn off some of the dinner goofing around the place. We didn't get to see Davao though the place overlooks the city because it was too dark, but we had a great time!